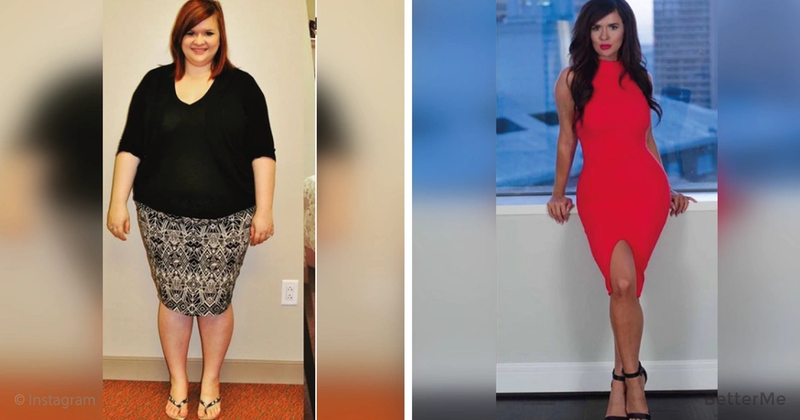 Christine Carter, 28, has lost an incredible 150 lbs. in just 16 months, a feat even more remarkable if we consider that her boyfriend wanted her to remain “fat”. After a gastric surgery in 2014 and a long weight-loss journey, she revealed her results to the whole world. When she was the heaviest, Christine, who is 5ft 5in tall, was taking 10 different drugs and had to have weekly medical check-ups to survive, due to her size. In 16 months, she did the impossible and slimmed down to 125lbs. While still not believing that her success could be real, she had gastric surgery, hired a personal trainer and completely changed her lifestyle. By December 2015 she hit her target shape! Her Instagram account now has 26,000 followers, and it makes her happy and very proud of the changes she has gone through. According to her, giving up smoking and an unhappy relationship were the reasons for her eating SO much. Her boyfriend was overly jealous and made her remain in THAT awful shape. Instead of dealing with the problem, she was eating more and more, until eating sugar and carbs became a part of her every day and even every night menu. After the surgery, and due to her emotional state, she stopped losing weight. It was then that she understood that she had to change her life too. Therefore, she ended her relationship with her jealous boyfriend. The woman is now happier than ever before with the way her life has changed, and is saying that living in her past life was total hell compared to the heavenly life she is living at present. She does not think of her workouts as the best thing in her life, but she knows that they help her maintain the shape and the life she wants to have. She is currently trying to share her experience with other people, to motivate people like Christine to change their lives and make them much more comfortable. She told us that, to succeed in your weight-loss efforts, you should have self-confidence and trust yourself more. So, love yourself, your body and your life!